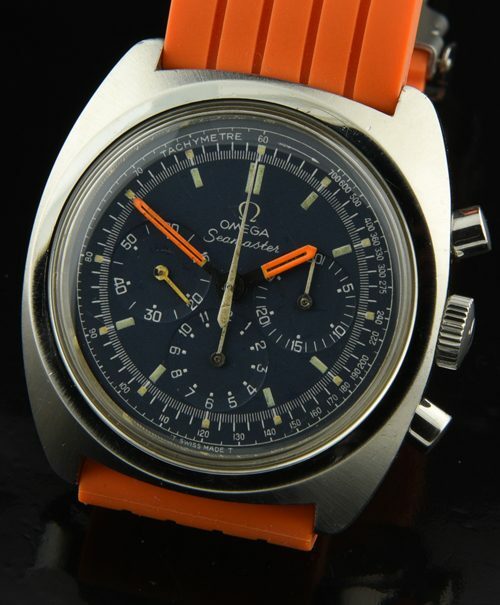 This OMEGA Seamaster chronograph dates to 1970 with its 32 million serial number. The 38.5mm. steel case looks amazing in person-no dings or major flaws with clear sea monster back. The fine caliber 861 OMEGA manual winding movement was just cleaned and all the chronograph functions are operating smoothly and properly. The crown and crystal are correct OMEGA. 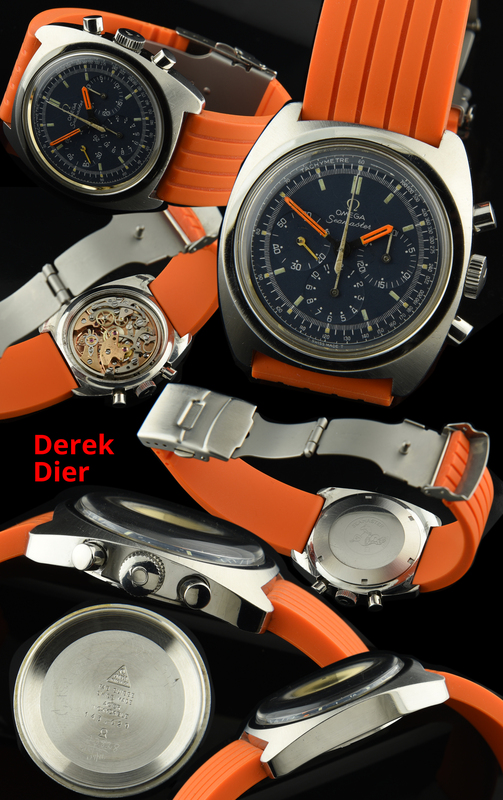 The exotic (original) blue dial with original orange hand set and chrono hands really adds a visual “zip”. The orange silicone band will fit a 6.5 inch wrist. If you would like to switch it to leather or NATO…let me know. You are going to love this OMEGA Seamaster CHRONOGRAPH! Just $2950.